Why go to the trouble of hauling your mattress somewhere when you can get rid of it from the comfort of your home? While many Fresno residents can drop a mattress or box spring off at a mattress collection site for a small fee, there are just as many people who either don’t qualify for the Valley’s mattress recycling program or simply don’t have the time or vehicle space to use it. When you find yourself in this situation, what are you supposed to do to get rid of an old, unwanted mattress or box spring? You really don’t want your mattress ending up in a landfill, but you also don’t have any space for an extra mattress. Believe it or not, you can have the best of both worlds when having your old mattress or box spring disposed of in Fresno, California. Keep reading to learn just how easy it can be. Can You Throw Away Mattresses in Fresno CA? Though it’s not technically illegal to throw away a mattress in Fresno, it is next to impossible to do anything but recycle a mattress. You can’t just set your old mattress out on the curb to be picked up with the rest of your garbage. In fact, leaving a mattress or box spring out on the curb or in a nearby dumpster will earn you a serious citation and fine for illegal dumping. So, if you’re thinking you’ll just put your unwanted mattress out to be picked up by your usual garbage collector, think again. Instead, the City and County of Fresno sponsor a mattress and bulky waste recycling program known as Community Cleanup Day. This is an event that takes place one day each year. Some residents of Fresno are able to take part in this Community Cleanup event offered by Exclusive Service Area Program Haulers throughout Fresno County, allowing them to dispose of certain bulky waste items, such as a mattress and furniture, for free. Unfortunately, this is only offered to residents living in certain areas and who have regular waste collection service through select haulers. If you qualify, you must wait all day before your mattress or box spring are picked up, and it may not even be removed at all. If you don’t have the time or patience to wait for the next Community Cleanup to happen, you could always just haul your mattress to a Fresno recycling center yourself. However, if you decide to do this, you’ll need to call ahead and make sure they will accept your mattress or box spring for drop-off before you haul it all the way there. Keep in mind that if you decide to go this route, if you don’t already own a truck, you’ll need to rent one in order to haul your mattress. When you also take into account the amount of gas you’ll be using and how much of your time this all will take, you’ve got a very expensive and time-consuming job on your hands just to have a mattress recycled. Hauling a mattress without any help is also very dangerous because of the weight and size of a mattress. This means also having to find someone willing to help you have your mattress recycled, so you don’t injure yourself from the heavy lifting and maneuvering. 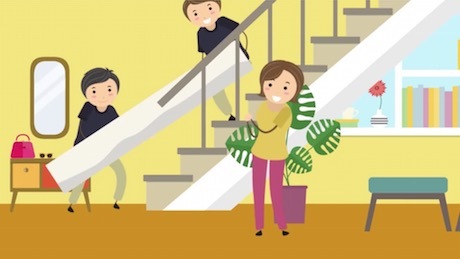 Because of all the time, money, energy, and stress that’s involved in recycling a mattress, many Fresno residents opt to have a mattress disposal company do all the work for them. Are Mattresses & Bed Springs Recyclable? Yes! Thanks to a program called Bye, Bye Mattress, which is managed by the Mattress Recycling Council, residents of Fresno can have an unwanted mattress recycled. The Mattress Recycling Council, a non-profit organization certified by CalRecycle, plans and manages the California mattress recycling program. Because of the mattress recycling initiative, retailers and other businesses selling mattresses must collect an $11.00 recycling fee on each mattress and box spring sold in California. These fees go toward the recycling of old mattresses and box springs. The process of mattress recycling usually involves removing the materials from inside old mattresses, such as the metal springs or fiber filling, and then combining those materials with other materials and components to manufacture a new mattress or upholstered furniture. Thick steel wire makes the metal springs found in box springs and traditional innerspring mattresses. These springs are recycled by being processed using special machinery to strip them away and then bale the steel into more manageable cubes. Next, these steel bales are packed up and shipped to a scrap metal processing plant where they melt the bales down and make the metal into new steel. This recycled steel is used to manufacture all sorts of new products, some of which are probably in your home right now. Most of the mattresses on the market today are made either partially or completely out of different types of foam. These foam mattresses can also be recycled. A foam mattress is recycled by stripping away the foam layers and shipping the foam off to various factories where it is cleaned and eventually used in making new products like foam padding for carpeting. Having your mattress recycled instead of tossing it in a landfill or illegally dumping it somewhere will have the best impact on the environment and the community. However, having your mattress recycled can also be confusing, time-consuming, inconvenient, and expensive. That’s why so many Fresno residents decide to have their mattress recycled through a local eco-friendly mattress removal company. Having an environmentally responsible mattress and furniture removal company handle mattress disposal for you means you get to cut out all the struggle and wasted time of recycling your mattress while resting easy in the knowledge that your old mattress or box spring won’t end up in the dump. Mattress Disposal Plus is a professional mattress removal company that offers customers in Fresno fast, easy, and affordable mattress removal for about 25% less than what most other mattress disposal services charge. 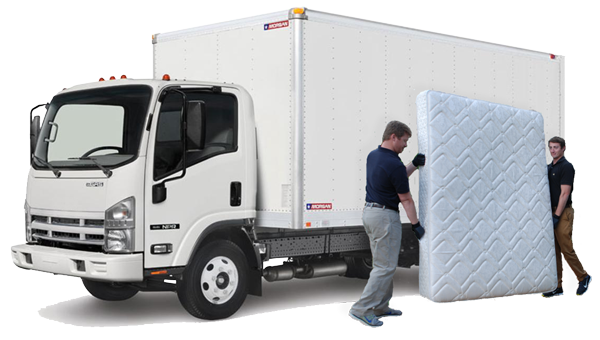 We provide excellent mattress pickup service to residents of Fresno and people all over the U.S. at an honest, upfront price while using eco-friendly disposal methods like recycling or donation and providing tailored customer support services. Usually, when you call one of these mattress removal companies, they schedule a “free” onsite estimate then come out to see what items you need to have disposed of, give you a quote, schedule a pickup day, then come back to pick up and haul away your mattress for disposal. Then, when the loaders come to haul away your bed and everything is loaded onto the truck, you get charged a higher amount than you were quoted, which you’re expected to pay on the spot. Not Mattress Disposal Plus! You can count on us to provide you with an all-inclusive price quote up front before you even book your pickup, so the quote you get is the price you pay. With Mattress Disposal Plus’s custom technology platform, you can track your pickup every step of the way with update messaging, pre-calling, and GPS tracking so you’re not stuck waiting around at home all day wondering where your loader is and when they’re going to show up. In addition to carrying a $1M insurance policy, every loader who picks up your unwanted mattresses and box springs has been completely background-checked, so you know that you and your property are safe when you have Mattress Disposal Plus pick up your unwanted mattress and box spring. Mattress Disposal Plus is proud to be offering their customers in Fresno, California (and all over the United States) the best service at the best price from the friendliest folks in the mattress removal world. Want to know more about why Mattress Disposal Plus is the best mattress removal company in Fresno? or how you can book a pickup with us today? Chat with us online or give us a call!